Ishqiya has a top cast and with the writing and directing team of Abhishek Chaubey and Vishal Bharadwaj, the story and script are top quality as well. This is Abhishek Chaubey’s first directorial venture although he worked with Vishal Bharadwaj on a number of his films as assistant, most recently Kaminey and Omkara. The screenplay here shows many of the same elegantly clever twists and turns, and there is plenty of snappy action. All of the actors make the most of their roles with some excellent performances, and it all adds up to a great film. The film tells the story of two thieves, Khalujaan and Babban who are on the run after stealing from their boss Mushtaq. Khalujaan and Babban are uncle and nephew, and there is the added complication that Mushtaq is Khalujaan’s brother in law. Khalujaan tries to rely on this connection to escape Mushtaq’s murderous plans for revenge but it seems that just being family isn’t enough – not when you’ve stolen from Mushtaq at any rate. After being caught by Mushtaq and his merry band of thugs near the start of the film, the pair manage to escape by means of some witty repartee and good team work. There is an interesting subtitle error here. I am quite sure that Mushtaq says kutta and really does mean ‘dog’, although possibly bog makes just as much sense. Since they can’t find anyone willing to risk the wrath of Mushtaq and take them in, they end up planning an escape toNepal. When they end up at the border town of Gorakhpur, they decide to seek help from an old accomplice Vidyadhar Verma. However on arriving at Verma’s house, they find out that he has been killed in a tragic accident, and end up dealing with his widow Krishna instead. This creates an interesting dynamic as Krishna plays the two men against each other while she plots to use them for her own ends. Meanwhile Mushtaq turns up yet again, and in a final attempt to get enough money to pay for their freedom, Khalujaan and Babban join forces withKrishnato kidnap a local business tycoon. They plan to use the ransom money to pay off Mushtaq, but Krishna has other ideas and their kidnapping ends up with some unexpected results. The film opens with Krishna and her husband at home and in bed as he teases and cajoles her while she tries to get him to surrender to the police. Although the couple have been kept apart by Verma’s kidnapping schemes they seem to be very much in love and Krishna obviously misses her husband while he is away on his various criminal activities. Abhishek Chaubey has cleverly drawn Krishna and Verma’s relationship in detail in just a few minutes in these opening scenes and this attention to detail in the characterisation is carried out throughout the film. For example, when we first meet Khalujaan and Babban they are celebrating their escape from Mushtaq with the loot, and just from the way they are dressed and the way they dance and celebrate, we have a lot of information about their respective characters. 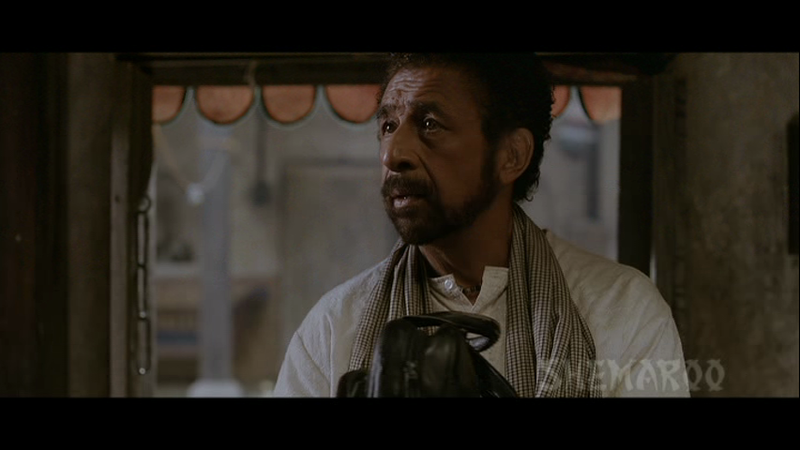 The more sensible and level-headed of the two is Khalujaan, ably played by Naseeruddin Shah. He’s older, although not necessarily wiser, especially if he has had a bit too much to drink. Despite his criminal tendencies he is a romantic at heart and on meeting Krishna he praises her singing, helps her with the cooking and indulges in idealistic fantasies of the two of them together. After their first meeting he has a good look at himself in the mirror and realising that he looks his age, resorts to using some of Krishna’s kohl to darken his hair and beard to make himself look more attractive to her. It’s all so very human and natural and is just one of the ways that Abhishek Chaubey brings his characters to life. Khalujaan is also more focused on the goal of getting away with the loot, while Babban (Arshad Warsi) votes for killing Mushtaq and getting on with spending the money and enjoying life. As Khalujaan romances Krishna from afar, Babban eyes her speculatively from almost their first meeting. He’s much more direct and it’s very telling that his first visit in Gorakhpur is the brothel. He is all male, hot-blooded and very ready and willing for action. Despite knowing that his uncle has fallen in love with Krishna, he makes a play for her too. However, even with his ‘love them and leave them’ attitude he ends up under her spell, and falls in love for probably the first time in his life. His betrayal by Krishna seems to cut much deeper than with his uncle, perhaps because this is his first love. With his kohl rimmed eyes and knowing looks Arshad Warsi revels in the character of Babban. 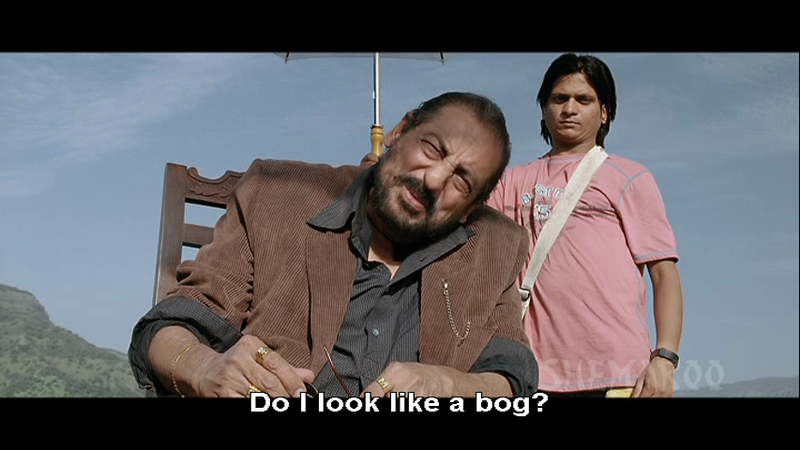 To some extent he revisits a little of his lovable rogue character of Circuit from the Munna Bhai series, but Babban is much more cynical and a harder persona. He has no qualms about accusing Krishna of stealing their money, or using violence to force her to reveal her plans later on. But at the same time his heartbreak when he realises he has been betrayed is very real and he genuinely seems to take an interest in Nandu (Alok Kumar), a local boy he meets at Krishna’s house. The two men are very easily seduced and led by the enigmatic Krishna. Vidya Balan does an excellent job of portraying Krishna as a woman of many faces. She starts off as the woman in love but with her husband’s death she seems to change and becomes aloof and mysterious, at least until she meets up with Khalujaan and Babban and seems to come to life again. She knows exactly what she wants and how to achieve it, and will allow nothing to stop her reaching her goal.Krishna is a very strong female character, even if she does turn a little crazy and vengeful at the end, and it’s great to see Vidya Balan in a role which suits her skills as an actress. She doesn’t have too much dialogue and in many scenes conveys most of her emotions through her expressions alone, which she does very well. There are some beautifully shot scenes of village life in the film and the cinematography by Mohana Krishna Agapu makes the most of the local countryside. While there aren’t any big song and dance numbers, the songs by Vishal Bhardwaj and Gulzar are excellent and fit well into the film. As well as the film soundtrack, Babban has a tendency to burst into song when he’s happy, and there are some fun renditions of songs from Chak De India and Om Shanti Om. There are so many great moments in this film, both comedic and some very good drama as well. With all the twists and turns the film never drags and Abhishek Chaubey even manages to add in a couple of explosions to add to the mayhem. A very well made film with excellent performances from the three leads – I’m definitely looking forward to the sequel. 4 ½ stars. This entry was posted in Bollywood and tagged Abhishek Chaubey, Adil Hussain, Alok Kumar, Anupama Kumar, Arshad Warsi, Gauri Malla, Gulzar, Mohana Krishna Agapu, Naseeruddin Shah, Rajesh Sharma, Salman Shahid, Vidya Balan, Vishal Bhardwaj. Bookmark the permalink. Personally, I wasn’t as struck by this film as many others, even though I did like it. It’s a solid film with some strong performances, but I feel that the plot is a little loose at times. Or… maybe not loose, but… well, not throughout exciting. But I really like all the twists and turns and thought that the story was developed well. I also like the way that the plot is kept relatively simple without any really big action scenes, which allows the focus to be more on the relationships and the characters of the three protagonists. 41/2 stars? Really? I would have given it 2! Both my husband and I were excited when we sat to watch the film – we admire Naseeruddin Shah as well as the other major actors and I was already in love with a couple of the songs. Yet as the movie unfolded all I remember feeling was disappointment! I remember being angry at the end – angry that they would take so many talented actors and still make a hash of it…. But now you make me question myself. Guess I should rewatch it one day.. I think it does get better with rewatching 🙂 Although the first time round I still thought it was a good movie, but on re-watching I found more to the dialogue and situations than on the first watch. So maybe do give it another try and see if it improves! At least 1/2 star there was for Arshad Warsi’s eyes – very expressive!